"Energy Savings You Can Feel"
We serve commercial and residential customers in St. Petersburg with a variety of insulation services. ​Request an Estimate and We'll Call You! Insulation matters. There is not much worse than coming home to a freezing cold home in the winter, where no matter how much you turn up the heat, it just leaks right through the ceiling. Nor do you want a sweltering home in the heat of summer, with your AC making it’s escape route out the walls – along with your hard-earned cash. Most homes are leaking air have room for major improvements. 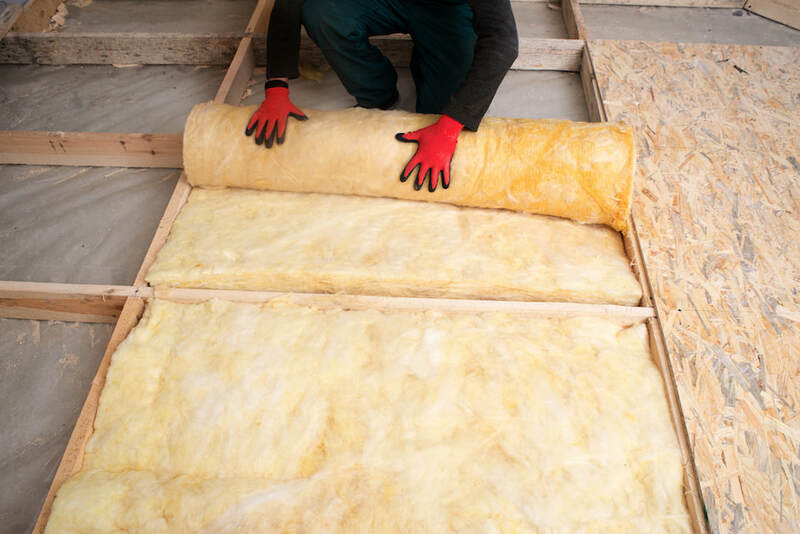 Properly insulating your home, sealing your attic insulation, basement, crawlspace and rim joists, will not only make it that much more comfortable to live in all year round but will make huge improvements in your energy consumption, cutting down your overall usage and the resulting energy bill. And just small improvements in insulation can make a huge difference – in some cases 20-30% off your energy bill. There’s a lot to know about insulating your home, from type of insulation to proper installation to R-value. R-Value is the material’s “resistance to conductive heat flow”, also known as thermal resistance. The higher the R-value number, the more insulation the material provides. 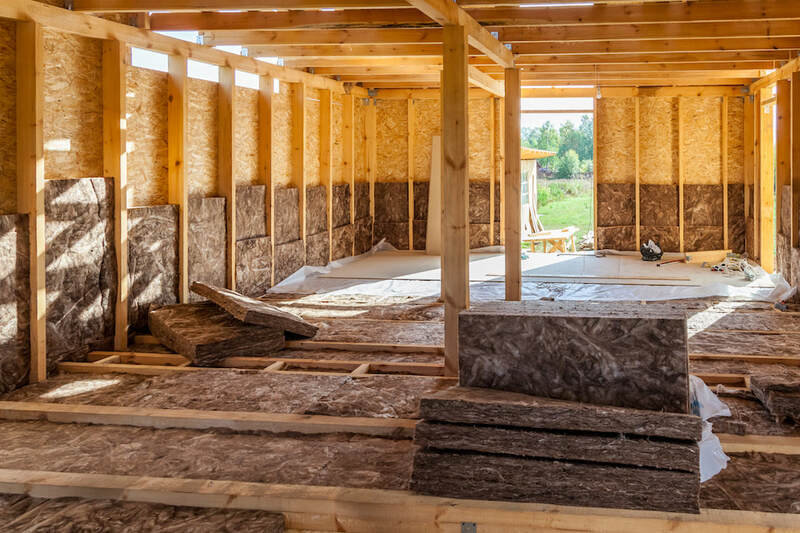 How much R-value insulation provides depends on its material, thickness and density, but also on its installation; improper installation can lower the effective R-Value, as can any gaps in the insulation. 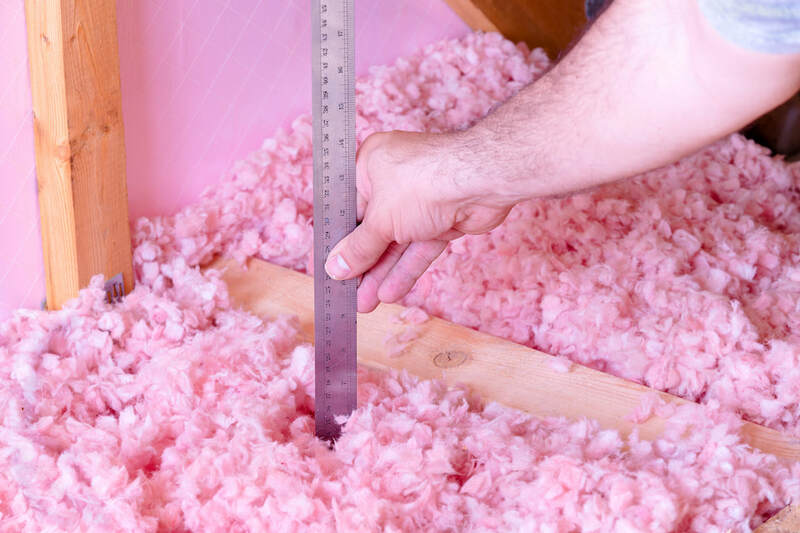 Insulation coverage should be evaluated and measured before installing any new materials, for thickness, and how well the material fits around corners, studs, air ducts and heating components. It’s important to know exactly how much needs to be applied to get a good fit and seal and ensure the insulation does its job. Before installing new insulation, you can measure your current insulation with a tape measure to see if it stacks up to recommended amounts – 13”-14” deep (an R-value of about R-38) for Southern climates, and 16”-18” (R-49) for colder climates. And the older your home, the more insulation it will probably need. Whatever type of insulation you’re looking for, we provide a material and installation service that fits your building and your budget. Spray foam insulation is one of the best and cheapest methods of insulating your home against air leaks and drafts, providing total coverage and an air-tight seal. 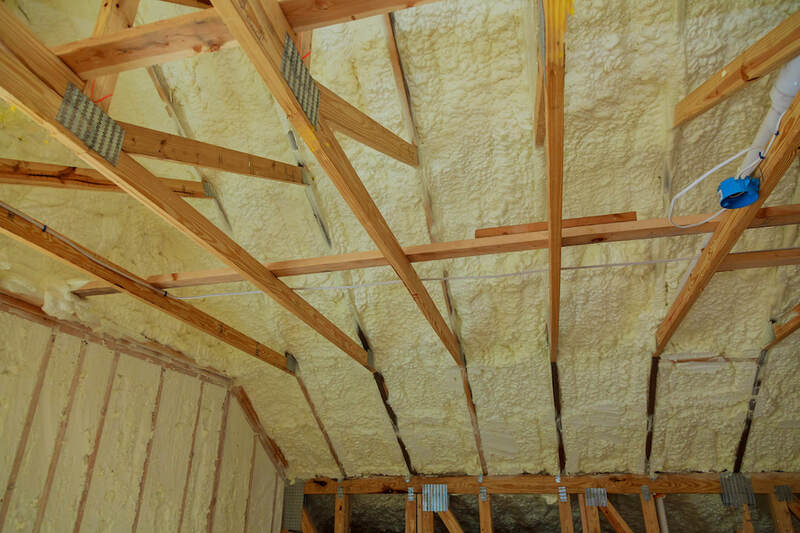 Made from two materials - polyurethane and isocyanate – mixed into a single substance, spray foam insulation expands into cracks and crevices and before hardening, providing powerful insulation, keeping moisture out, and providing you with some huge energy savings. ​With spray foam insulation, we can help you get the best seal possible for your home and save you tons of money on your energy bill every month. Blown-in insulation is a type of fiberglass insulation, that is blown in to walls and into the attic by means of an electric blower. It provides the same insulating power of other fiberglass fill insulation, but is even easier to install, and is excellent at filling in gaps, cracks and crevices for a tighter seal than other methods of insulation. 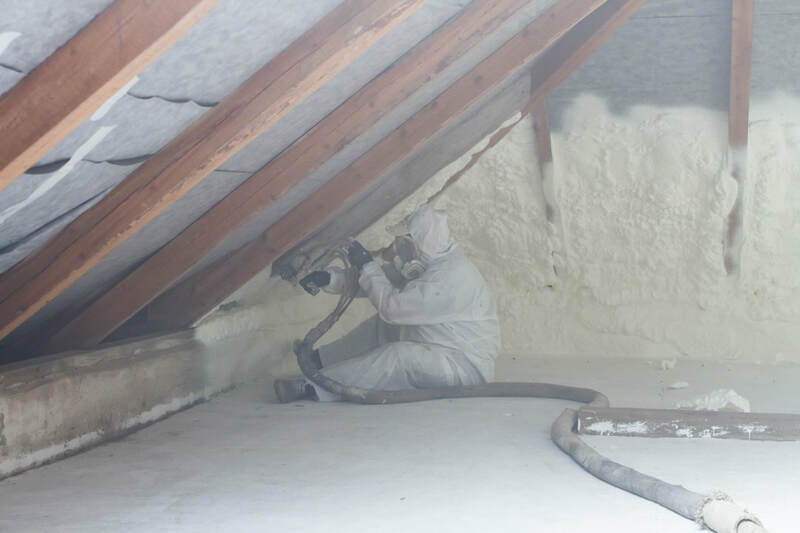 ​Let us use blown-in insulation in your attic and provide that insulating seal you’ve been looking for. Radiant barrier, also known as reflective insulation, is an excellent and relatively affordable method of insulating your home. 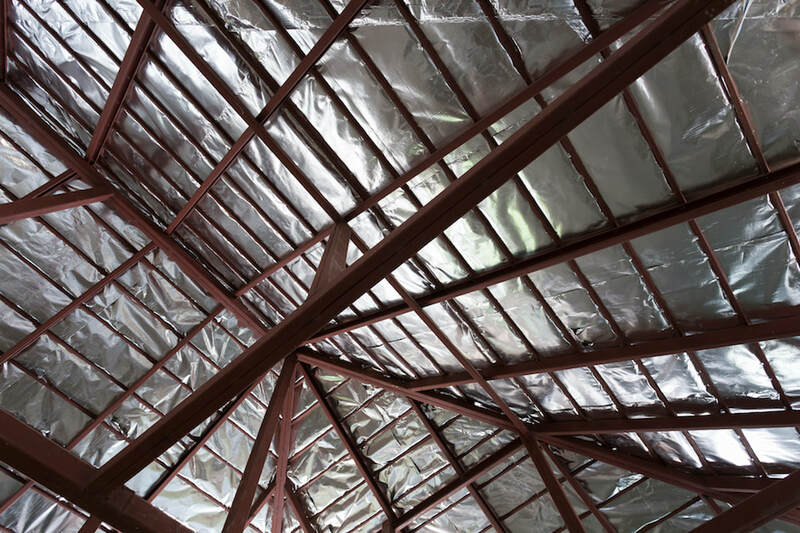 Most heat enters or escapes your home through the roof, and radiant barrier – which looks a lot like aluminum foil - literally reflects heat, instead of absorbing it, and sending it right back where it came from – inside during the winter, and outside during the summer. Properly installed radiant barrier insulation in a hot environment can cut your energy bills down by more than 10%. When we outfit your attic with radiant barrier insulation, your house never gets too hot in the first place when it’s hot out, and never gets too cold during the winter. If comfort is your priority, radiant barrier is the way to go. ​Also known as blanket insulation, batt insulation is generally the least expensive way to insulate your home. 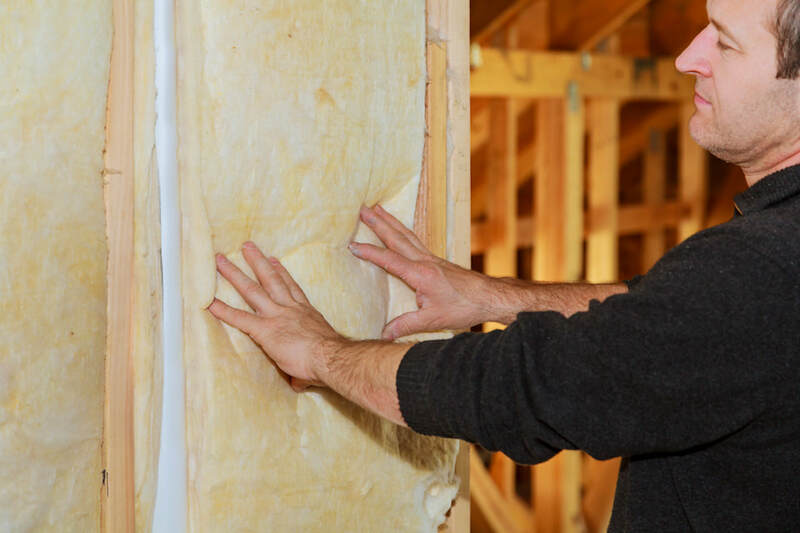 ​Batt insulation is made of large pieces of fiberglass insulation (occasionally cotton) made of long fibers that weave and hold the insulation together. ​It’s very easy and straightforward to install, and the best way to insulate your home on a budget. If you’d like to need to keep your home sealed and insulated without breaking the bank, give us a call and ask about batt insulation. ​When insulation isn’t properly installed, it will do a poor job at keeping the heat in – and end up wasting a lot of money. At St. Pete’s Insulation, we pride ourselves giving you the best insulation installing services in the St. Petersburg area. 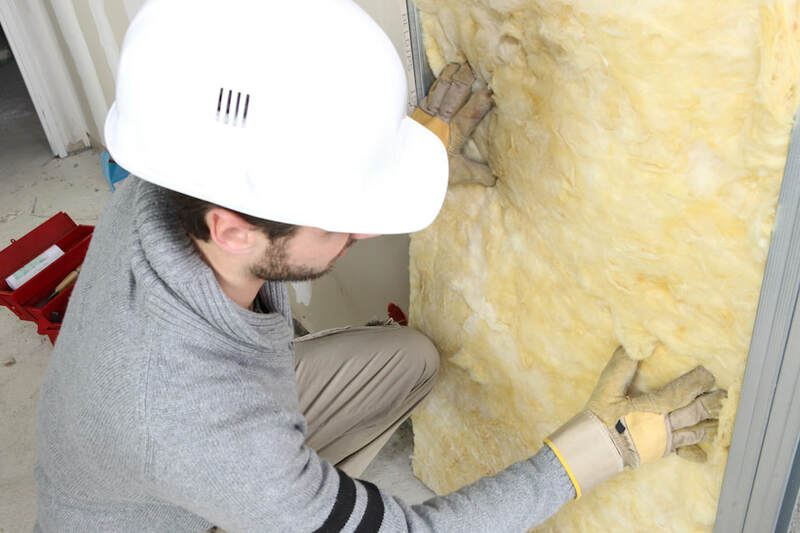 Our team of insulation contractors is committed to giving you the most painless, hassle-free and professional insulation installation service that leaves you satisfied, every time. 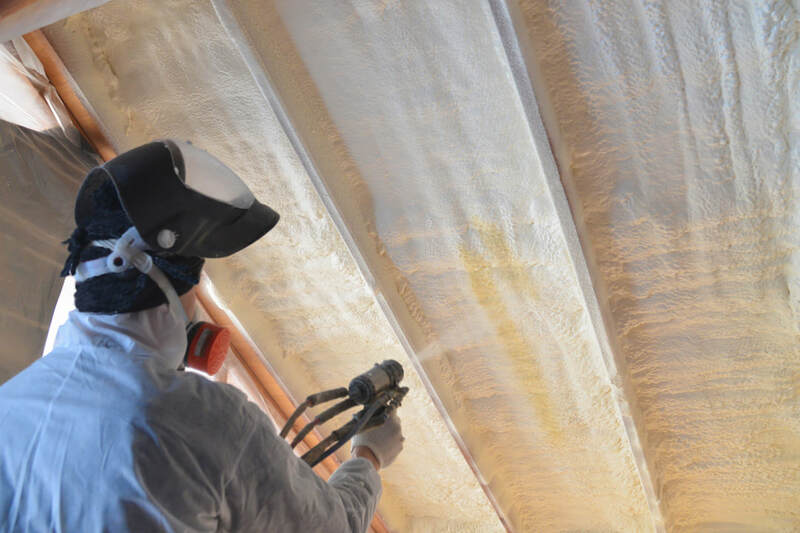 ​Whatever type of insulation you decide to install – spray foam insulation, blown-in, radiant barrier or tried-and-true fiberglass batts insulation - St. Pete’s Insulation has you covered. Get in touch today and see how St. Pete’s Insulation can help you improve your home’s insulation and save on your energy bills.